Mastiff History & Art link to Goliath Mastiff’s website. 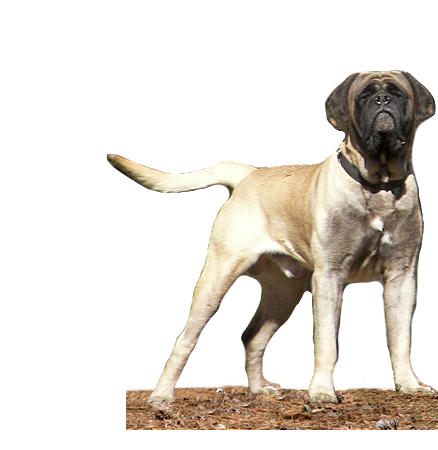 AKC Mastiff Standards for the mastiff breed. Bearclaw Creek Kennel – Our main focus is is the preservation of the Perro de Presa Canario and English Mastiff breed as well as nurturing the utmost in family companions. Dog training aids….. Leashes, harnesses, muzzles, collars …. Dog Harnesses – Amazing selection of high quality large and medium breeds dog harnesses. Roxie Delux Pet Boutique http://www.roxiedpetboutique.co.uk / – Roxie Delux Pet Boutique is an online store for Stylish Dogs and Cats. Roxie Delux – Dog Cat Grooming Tips & Salon, One of England’s Finest Mobile Grooming, Pet Taxi, Pet Day Care & Boarding – strives to give you and your furry family members the best service possible.